Road trips are a make or break factor for mass adoption of electric vehicles in the US. Unlike much of Europe and many other parts of the world, the US does not have a train system that connects most cities in the country (Amtrak in the Northeast being an exception). As such, most Americans either fly or rely on their cars when they go on vacation to Disneyland or Disney World, to visit relatives a few states away, or to take their child to college hundreds of miles away. While I have not found an official or agreed upon definition, I’m going to consider a trip of at least 250 miles (at 65 MPH, that is about 3.8 hours in travel time) as a “long trip.” And to qualify or be thought of as a “road trip,” you probably need to be in the neighborhood of 500 or more miles. As I shared in Part 1 and Part 2 of this series, my wife and I recently drove our daughter to her college in Redlands, California (near Riverside) from our Northern California home. Our Tesla Model S 60 was packed to the hilt with my daughter’s belongings for the 428 mile drive to our hotel, located about 5 miles from the college campus. With a total range of about 205 miles in the 60 kWh battery pack, this was the first road trip of over 150 miles one way that we had taken in the Tesla since we bought it in December 2016. In part 2, I shared a few EV charging rookie mistakes I made on the trip, but I also learned a lot and gained several insights on what I believe will be key requirements before the majority of American households will be comfortable taking an EV on a long trip. And if a consumer has concerns about a long trip in an EV, unless it is their second car or just used as a commuter car, many will be unwilling to buy one. 1. ~300 miles of range must become the minimum range of future EVs. Quite simply, 300 miles is likely the absolute minimum range needed for most US drivers to be comfortable when taking a long road trip with an EV. At 200 miles of battery range in a fully electric car on long road trips of around 500 miles, you have limited room for error and minimal charging flexibility. Depending on your driving style/speed, weather conditions, charger locations, availability of destination charging upon arrival, and other factors, you’ll need to stop and charge at least 3 times, and possibly/probably 4. You also may have to stop at specific charging locations just to ensure you reach your destination with comfortable range to spare. 300 miles of range, however, can reduce the number of charging stops likely to 2 times (one is perhaps possible, but not likely due to the approach of “graze charging” — stopping more frequently for shorter/quicker charges). This range and number of charging stops is and will be acceptable to early adopters and many in the early majority phase of adoption. Late adopters and laggards however, will likely require at least 400 miles of range, as American car owners are used to 400–500 miles of range in their ICE vehicles. The good news is that, by 2023, I predict the average range of fully electric cars available in the US will be just under 300 miles. The bad news is that perhaps as many as two-thirds of these EVs will be luxury or specialty vehicles. 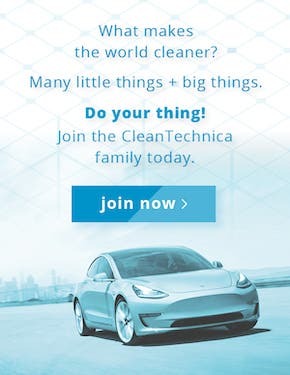 Mass EV adoption won’t begin in the US until there are multiple models in the $25,000 to $35,000 price range (without incentives) that also have 300+ miles of range. 2. Fast charging to a 90–95% charge in 30 minutes or less (coupled with 300 miles of range). 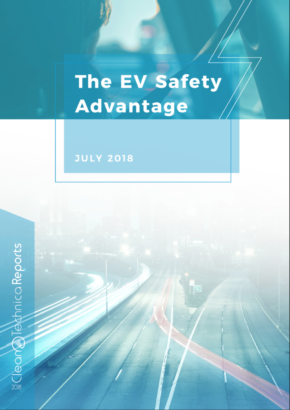 While superfast charging of less than 15 minutes will be critical to achieving mass consumer adoption of EVs, charging to about 90–95% in around 30 minutes should be acceptable to most EV buyers for the next 5–7 years. 1) At an average of 70 MPH, you could drive for about 4 hours — typically about the maximum distance people prefer to drive before needing to use the restroom, stretch their legs, and get food and/or a beverage. 2) A typical stop for a combined meal and bathroom break is about 30 minutes (unless you eat in your car) — meaning the moment you are done with your meal, your car can also be finished charging. Longer term, however, for late adopters and laggards to get excited about buying an EV, fast charging on road trips will likely need to be 15 minutes or less. 3. Interstates will need fast chargers every 30–40 miles. While I haven’t found any solid data on the average distance between gas stations on highways, anecdotally, except in the most rural areas, it seems that 30–40 miles is a typical distance between gas stations on many US interstates. Currently, and for the next several years, EVs most likely to be taken on long road trips will have a minimum range of about 250 to 350 miles. Having fast-charging stations about every 30–40 miles provides EV drivers with increased flexibility and significantly lessens range anxiety. Because driving speed, outside temperature, and use of A/C or heaters can impact range, knowing that charging stations are spaced every 30–40 miles means that if you miscalculate available battery range, you won’t be too far from the next available charging stations. Another benefit of fast-charging stations located every 30–40 miles is flexibility when one charging location might be full. 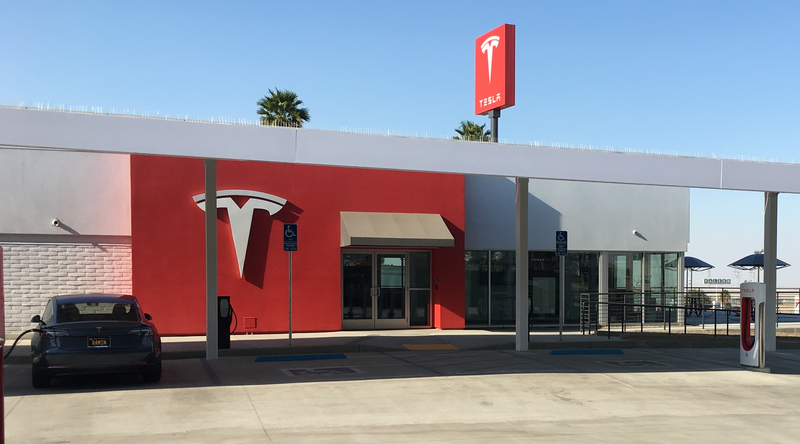 On our recent trip down and back up Interstate 5 in California, we stopped in both directions at the Tesla Kettleman City Supercharger. During each visit, there were only 3 or 4 of 40 stalls in use. But the staff working there informed me that on holidays they’ve reached 35 of the 40 in use at once (and that location may have reached the 40 station capacity over the Labor Day weekend). 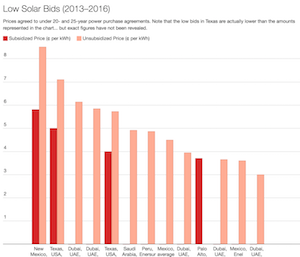 Imagine a year from now when perhaps another 50,000–75,000 Teslas are purchased in California? Being able to drive past a full charging location and stop at the next one 30 miles away will be critical to reducing EV owner frustration and wait times. 4. Destination charging must become commonplace. Being able to charge your EV when you reach your destination, such as a hotel or resort, will often enable a driver to stop one fewer time to charge on a long trip. Access to a charging station at your hotel or destination also reduces time and stress trying to find local charging. as you know you will be able to charge while sleeping or during downtime. The lesson for hotels, resorts, wineries, ski resorts, theme parks, and other destination locations is that, in the next few years, adding EV charging stations to their property will put them at a distinct competitive advantage over properties without charging stations. Beyond the competitive advantage for destination locations, mass consumer adoption of EVs will require the confidence that wherever they travel, there will be adequate availability of reliable Level 2 and DC fast chargers. Luxury automakers such as Jaguar, Audi, Mercedes-Benz, and BMW all have new fully electric SUVs with about 225–300 miles of range coming to market in the next few months to 2 years. These automakers need to steal a play from the Tesla playbook and work with key hotels and resorts in high-adoption EV markets to install Level 2 charging stations. Secondly, the EV charging networks and station providers (e.g., ChargePoint, EVgo, Electrify America, Clipper Creek, Blink, SemaConnect, etc.) need to educate the hotel and leisure industry on the need, value, and support of EV charging stations at their locations. 5. Build and run auto club lounges, similar to the airline clubs. Automakers, EV charging station providers, and food service companies need to step up their game and create a new rest stop model. Even as great as Tesla’s Supercharger network is, the overall charging experience is often not well designed or optimum (the Kettleman City location being somewhat of an exception, though it falls short as well). 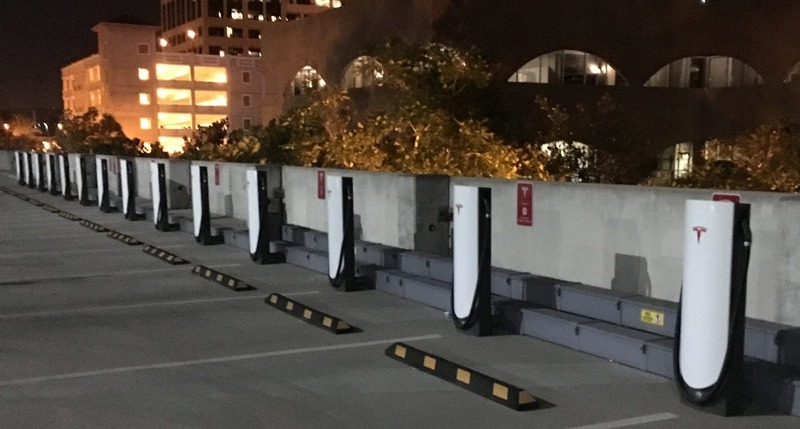 The current approach of most charging stations is to locate them as an add-on to available parking spaces. (To be fair, that’s to be expected at this stage of market adoption.) Many are located within easy walking distance of quick-service or fast-food restaurants — but charging isn’t typically a stellar experience. This approach is applying an old model to a new technology and infrastructure. Until superfast charging is a reality and EVs add 200+ miles of range in fewer than 10 minutes, EV occupants will have anywhere from 10 minutes to more than an hour to multitask while their vehicle charges. The experience and time a driver and passengers spend while waiting for their EV to charge reflects upon the automaker, EV charging provider, and location owner. The airlines figured this out years ago with the advent of the airline clubs. While waiting for your flight or connecting flight, they want you to have a great experience. Yes, you might pay $400 a year for access to that airline lounge (or get access via certain credit cards or airline status), but the access and experience with these clubs creates a greater “total travel” experience. Not all automakers will want to go down the lounge route, nor will most non-luxury auto brands need to. But the luxury brands, especially those that broaden their offerings to include mobility and energy (battery storage) solutions, will look to these lounges as part of a key strategy to attract and retain loyal customers across multiple product categories. Some automakers will go the partner route and offer co-branded/co-located solutions with quick-service restaurants, retailers, or other specialty service organizations. Auto servicing such as tire rotation, wiper replacement, tire air pressure checks, windshield washer fluid refilling, and detailing/washing/vacuuming are potential opportunities. 6. Use AI and smart navigation to make running out of range almost impossible. Understanding the various factors that affect the range of your EV is something that you mostly learn over time and through trial and error (as I recently learned). But fear of running out of battery range at night on a highway far from home is going to be one of the biggest stumbling blocks to mass EV adoption. AI/Machine learning–based trip planners: Before embarking on a long trip, an EV’s navigation and trip (range) planner needs to incorporate factors like the weight of occupants/payload, driving style, weather (wind, rain, temperature), expected use of A/C and heater, preferred locations to stop, charging stop preferences (fewer stops, for longer times or more stops, but shorter charging times), etc. Secondly, the estimator needs to use machine learning and incorporate the driver’s history and other driver’s real-world range on the same route to accurately predict battery usage for the trip. 7. Produce longer-range, competitive PHEVs. People either seem to love the idea of plug-in hybrids (PHEVs) because of their flexibility and elimination of range anxiety or dislike them because they are complex, inefficient, and still burn fossil fuels. While OEMs continue to produce PHEVs at a higher rate than fully electric cars, they also apparently dislike them because they require two different powertrains. Putting the powertrain and preference issue aside, however, the other current problems with PHEVs are that except for the Chevrolet Volt (53 miles all electric range) and Honda Clarity PHEV (47 miles all electric range), most have too short a range — about 15–25 miles (the current median range of PHEVs is about 20 miles). Battery ranges of a minimum of 50–75 miles would make PHEVs capable of handling a large percentage of many drivers’ regular needs. And then with a total gas/electric range of 400–500 miles, PHEVs become incredibly convenient for drivers who only take a few long trips each year. The second problem is cost differential. As my recent analysis proved, PHEVs with a high cost delta compared to the gas/diesel versions of the same model do not sell well. As the cost of battery packs declines over the next several years, fully electric cars with 300 miles of range will become more affordable, but so too can PHEVs with 50–75 miles of battery range and 400–500 miles of total range. This flexibility and long total available range will likely be especially attractive to buyers of pickups, large SUVs, and minivans; and to those without access to home charging and drivers who take several long trips per year. 8. Add spare battery range and efficient systems to run A/C, heaters, and other electronics. Consumers have been trained for about 100 years that when their fuel gauge reaches “E” (empty), they still have perhaps another gallon (or more) of fuel remaining in the tank. That buffer is important because although we know that extra fuel is available if needed, the majority of consumers plan their stops at gas stations based on how close they are to the “E” — not the actual remaining amount of fuel in the tank. EVs on the other hand have a less reliable buffer. Many fully electric cars have had battery ranges in the neighborhood of 100 miles or so, and artificially lowering that rated range to, say, 80 miles would be considered a huge negative, so it basically isn’t done. 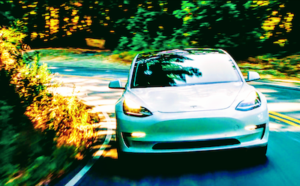 But as fully electric cars head toward a minimum of 300 miles of range (and more), artificially reducing range by 20–40 or so miles to create reserve miles similar to ICE vehicles starts to make sense. OEMs could make the reserve range configurable and put control in the hands of the EV owner. If you want 10, 20, or 30 miles of reserve range — or think it is a stupid idea and don’t want any — you could configure the amount of reserve range you have to your own preference. Secondly, turning on the heater or air conditioner can be a significant draw on the vehicle’s battery and range. 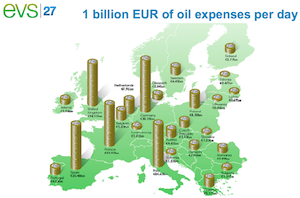 And as the use of electronics increases in cars (navigation and autopilot systems), the battery range can be further taxed. OEMs will need to deliver innovative and efficient cooling and heating systems, especially the latter for potential EV buyers who live in parts of the US with extremely cold winters. 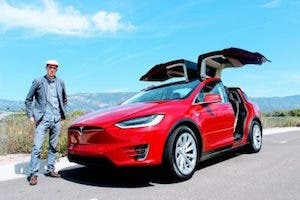 What do you think I left off my list of 8 keys, or where do you think too many bugs on the windshield clouded my thinking about long trips in an electric vehicle?